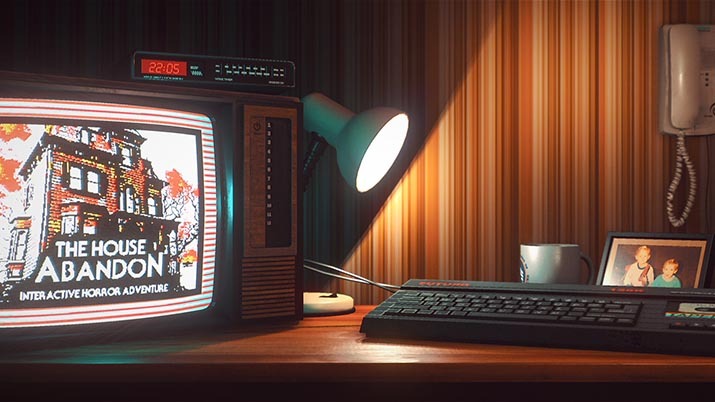 Stories Untold is an incredible, immersive experience taking players on a series of four short adventures that create and leave behind a lingering uneasiness and psychological terror. Combining elements of text adventure, point-and-click, and atmospheric horror, this groundbreaking title from No Code defies the standards set for the horror genre and goes above and beyond to create something unique and memorable. Ranging from empty houses to mysterious laboratories, and remote arctic research stations, the player is taken into a variety of situations, each equally terrifying, that build into one unforgettable overarching experience. 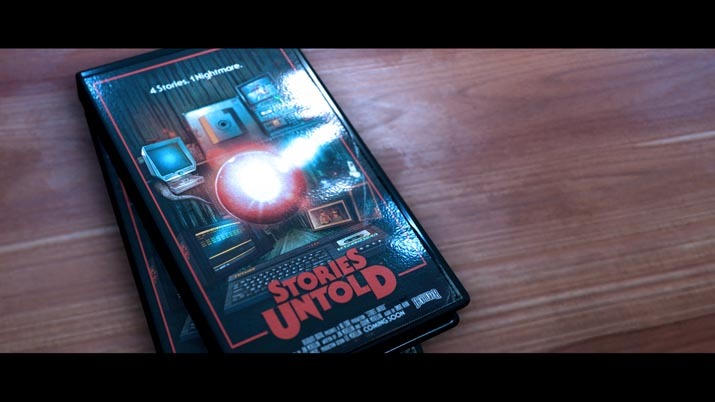 Stories Untold presents this experience in a virtually untapped way, a wonderful homage to the 80’s. Complete with a slow, fading title sequence and delightfully cheesy synth music, its atmosphere feels like something straight out of a Spielberg or Carpenter film. Stories Untold leaves the trend of jump scares alone, focusing more on an unnerving ambient, which slowly culminates into pure dread. Its gameplay focuses on a vintage technological interface and its surroundings. The screens will fluctuate and glitch, leave behind trails, and further build the suspense and unease. Beyond it, surroundings further add to the experience. Each keystroke is accompanied with a satisfying mechanical click of antique plastic, and the boot-up has the characteristic whine and cacophonous sounds of low-technology computers. Lightning flashes, alarms, bloody walls, crackling sounds, and more add to the captivating allure that makes the title into the whole experience that it is. Stories Untold takes a relatively simple concept and immerses the player, creating an in-depth, enjoyable experience. While the creepy, unsettling feeling is where Stories Untold shines, the episodic stories do anything but fall flat. Detailed and intriguing, each story feels like an episode of late-night television, dropping you into the midst of it all, and letting you slowly piece everything together until every detail culminates into a suspenseful climax before the credits roll. Ranging from a visit to a childhood home gone awry to conducting strange, mysterious research experiments, and cold, isolated research outposts, there are many different clichés of horror captured very well, and presented in a fond, nostalgic, yet exciting way. Reminiscent of shows like Stranger Things, Twin Peaks, and The X-Files, Stories Untold captures the wonderfully frightful presence in a manner that calls back to the vintage horror days of yore, leaving the player to investigate and hope to get to the bottom of these strange occurrences and frightening tales. In each episode, a story develops from subtle in-game clues, but as plot elements arise, so do more questions. Suspense builds as the story twists and turns along, disorienting the player, leaving them confused and trying to make sense of the horrors they are experiencing. Stories Untold is essentially what it’s like to play a game inside of a game. Whether it be typing away in a text adventure housed in a glorious rendition of a 1980s personal computer, attempting to understand complex, high-tech science equipment, or decoding radio transmissions in desolate Antarctica, each level introduces a new play element. The variations on in-game equipment and environment keep the game fresh and exciting, while still maintaining a cohesive, episodic story. A rather minimalistic approach, the simple mechanics and lack of difficulty allow for a much richer story to be woven. When the amount of input is limited, it causes the player to become much more aware and focused on the story, creating a memorable experience. Playing feels much more like keeping an episode of television going rather than playing a video game, which works perfectly for the atmosphere the title hoped to achieve. 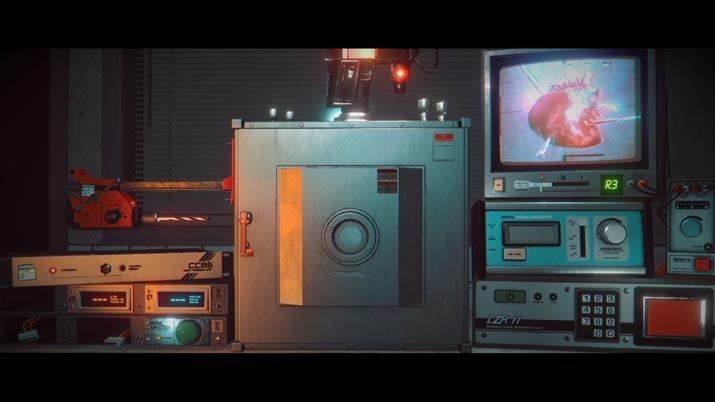 Stories Untold took a risk in producing an experimental game quite unlike anything that’s been done before, and in doing so it not only succeeded but thrived. I could very easily, and very much hope to, see No Code and other developers expand this idea into a series or new titles, elaborating on this ingenious foundation. Perhaps a change of setting, using the engine for other, similarly styled games, allowing other storytellers and writers to create these immersive tales. The opportunities are many. Stories Untold creates a fresh new experience for anyone looking to be frightened and have a good time along the way. In this innovative title from No Code, players can relive classic horror movies and late-night television, enjoy simple, light, but intuitive gameplay, and discover a spine-tingling story that’s guaranteed to keep them on edge long after they’ve finished playing.